Susan Carlisle is a relatively new friend – I met her on the M&B author loop when she sold her first Medical Romance (which came out this year, yay! ), and we have one of my big passions in common, i.e. castles. So you know what’s going to be the topic of conversation when we finally meet up… And there will be proper tea and cake. Most definitely. She’s a bit more well travelled than I am (and did you know she’s ridden a mule into the Grand Canyon and spent the night there? Note to self, grill Susan for book purposes…). Oh, I do love a good party. Congratulations Kate on your 50th book. I know what it takes to write one but 50! I figure I’ll be somewhere in the neighborhood of ‘way old’ before I reach that many. The number fifty got me to thinking about the significance of that amount. 50 years old. On average people are half through life. I’ve turned 50 which is okay. It’s the new 30. If it isn’t, it should be. 50 miles per hour. Too fast in town and too slow on the road but a good all-around number not to get a ticket most instances. 50 students. I’m a substitute teacher and that is a lot of students to referee. Fifty is a big number on those school days. 50 horses. That’s a lot to care for, a lot running toward you but what a wonderful bride price that amount would be. 50 people to feed. Super fun fellowship but piles of work for the cook. 50 dollars, 50 million dollars. Okay, the first one means you can’t quit work and the second means you can but you’ll have friends you never knew you had-and other problems. 50 Ways to Leave Your Lover. Remember that old song? Romance writers are about happily ever-afters and that song doesn’t imply that there is an ah-ha moment at the end. That brings me back to the 50 books Kate has written. In the scheme of things, her 50 is beyond impressive and a goal of which to be proud. What does 50 mean to you? 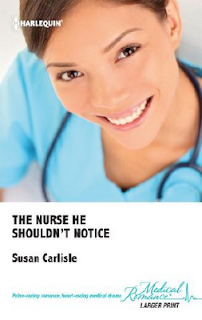 Susan is giving away a copy of new book, The Nurse She Shouldn't Notice, to one commenter. 50 means I'm half way there - a spring chicken really. I fully intend to live to 100 you see. Very doable, because we live a very long time in my family - on both sides. 50 means renewal to me. In my fifties I have a new career and am studying. The kids are confident, independent and happy. My husband is about to do something new with his work life - brilliant! For me 50 conjours up memories of a fabulous birthday. We hired a large narrowboat and I invited 25 couples - friends and other special people to join me. The trip took us along the Kennet and Avon Canal out of Bath to the Dundas Aquaduct. We had four hours of good food, wine and celebration - a totally unforgettable day! Thank you for a lovely post and a stunning giveaway! 50 to me has one very special reminder my grandparents 50 th wedding annervesary which we celebrated just before my grandfather passed away, my grandmother has since also passed away but when I hear 50 of think 50 it reminds me of the huge party we had in their honour which off course to them was a huge surprise ! I'm with Laney4! Nuf' said!!!!! 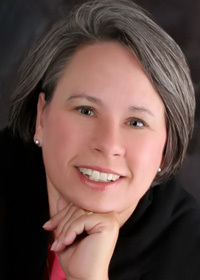 Hi Susan! i used to love that song - 50 ways to leave your lover. these days if you asked women what fifty meant they might say fifty shades of gray! Not my cuppa, but I think that lady may fast be approaching 50 million dollars on royalties? Shout out to Kate! You're something, lady - here's to fifty shades of hair color. :) Try them all out, I say. I'm 53 but I'm not half way yet. I plan to live to be 110. My daughter gave me such a hard time as a teen I want her to have to care for me a long time. A new career, kids gone, what's not to love about 50! Your are only getting better. Oh, Jo, what a wonderful birthday party. It sounds like you had a great time. Can I get an invite to your 60th birthday? 50 years together is a long time. I'm coming up on 30 years of marriage at the end of this month with 20 more to go. Thanks for stopping in. 50 years is wonderful. I'm coming up on 30 this month. I hope for 20 more after that. 50 isn't all about age. Fifty dollars, uh, pounds in my pocket is always good. You always put a nice spin on things. I love the 50 shades of hair color. Could being a blond be in my future? Maderia sounds like a great place to spent a 50th birthday. It reminds me of 50 shades of gray. Susan, your "50" list made me smile - as did some of the comments people have left! At the risk of repeating, it was 50 Shades of Grey that leapt to my mind too! Isn't Kate's 50 book milestone just awesome! 50 Shades --- I like 50 bucks better. Over the Hill parties are so much fun. Thanks for coming by.